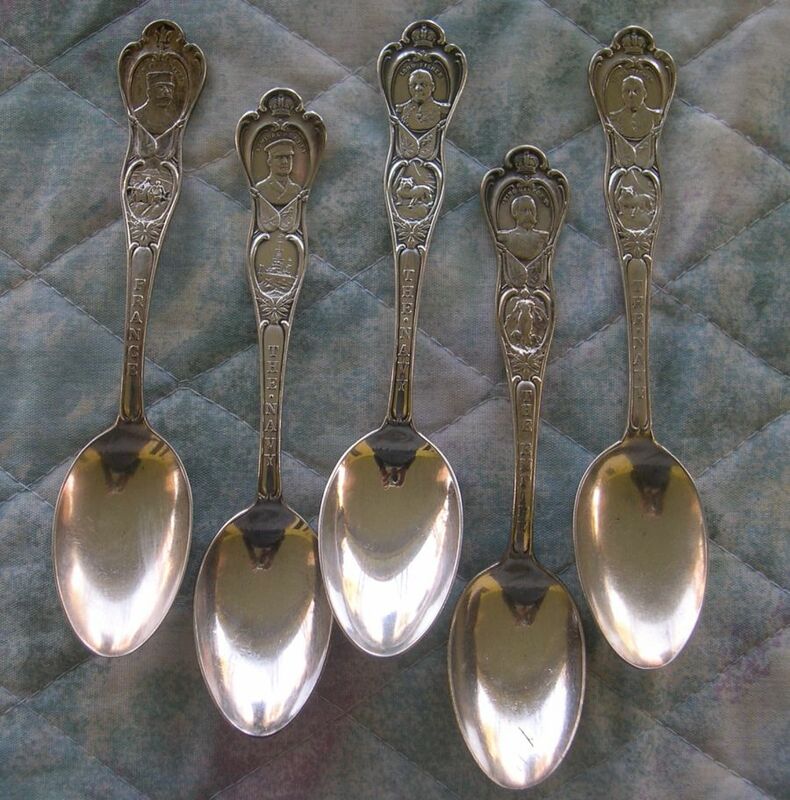 This interesting set of six World War l General/Admiral spoons was issued by Caron Bros.
Rainwater identifies them as a very small manufacturer of metal products located in Montreal, Canada. 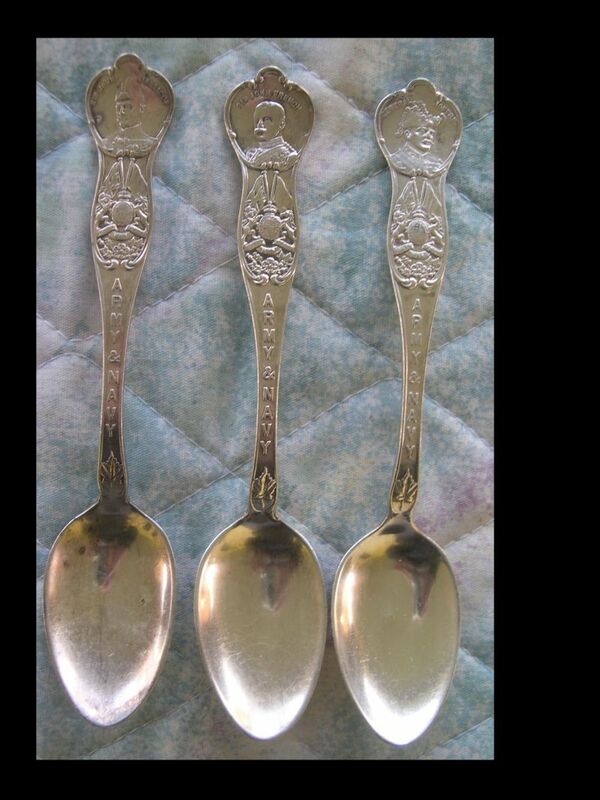 She states that they were in business from 1901 - 1931, so I am assuming that these spoons were issued sometime after WWl. 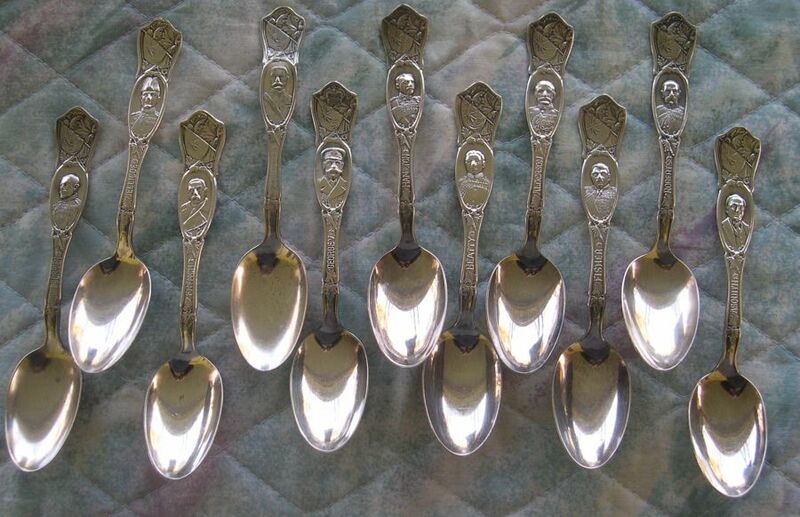 These spoons are silver plated and to my knowledge were not made in sterling silver. 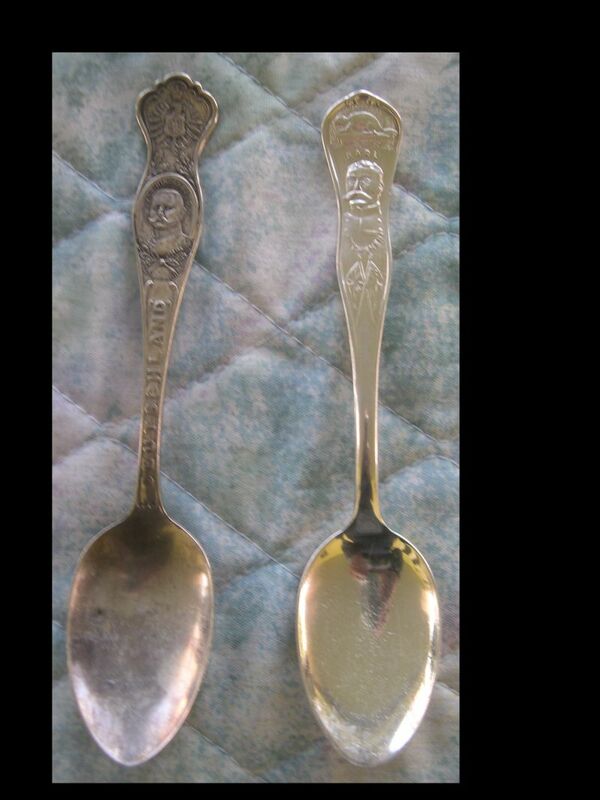 Click the picture for a short biography. 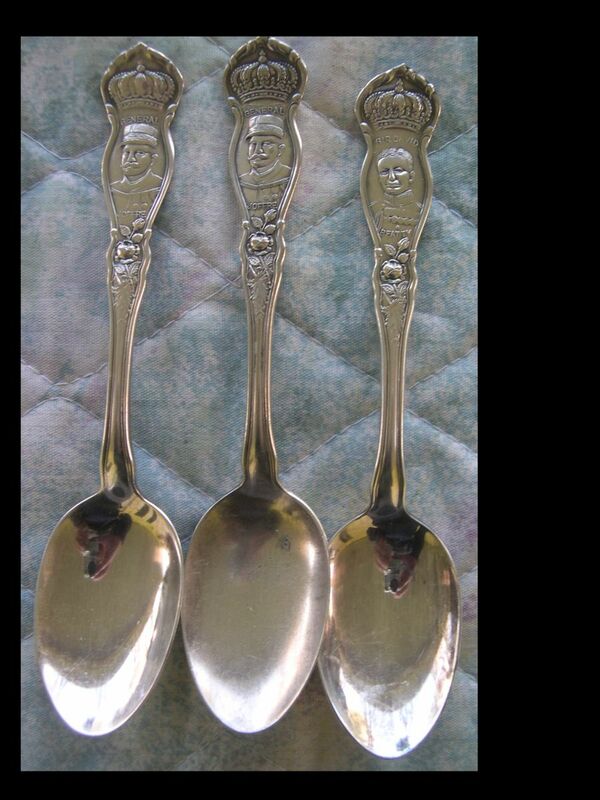 Roger Bros Silversmiths issued these spoons as a souvenir of the "great war." 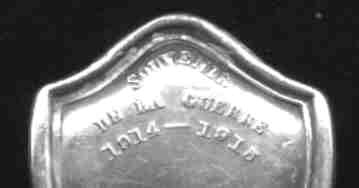 "Souvenir De La Guerre 1914 - 1918"